The Journal follows a double blind peer-review process. 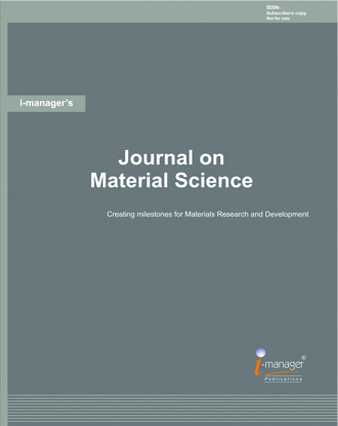 The submitted articles / research papers are reviewed by Professors / Educators in Material Science. An Efficient Nano-Catalyzed Green Synthesis, Characterization of Substituted Pyrazoles & Study of their Fluorescence Characteristics. Academicians, practitioners and post-graduate students in the field of Material Science, University Educational Bodies, Researchers, etc.